This interview took place on: 5/5/14. JFH (Alex "Tincan" Caldwell): As someone who was a teenager in the 80's and 90's, it's always interesting for me to ask younger artists who their musical heroes and influences are. Who were your musical heroes growing up? What was the best concert you went to as a younger person? What records made you want to play an instrument and write your own songs? Ben Richter: I was a teenager in the mid 90's and bands like Matchbox 20, Goo Goo Dolls, and Third Eye Blind were bursting huge onto the scene. I fell in love with music listening to Matchbox 20's "Yourself or Someone like You" record! Around that same time, I discovered a little band called "DC Talk." I went to their concert with Audio Adrenaline in 8th grade. I learned to "headbang" and I was immediately hooked on the music. Jars of Clay came out with Much Afraid in 1997… that definitely had an influence on me and made me want to write songs. JFH (Alex): Speaking of writing songs, do you remember your first song? Does it hold up today? What inspired it? Ben: Oh I definitely remember it… 8th grade, for a girl of course. Ahhh, the one that got away. :). Needless to say it certainly has not held up today, but the whole song was 3 chords - G C & D. Most of the good ones are! JFH (Alex): When did you realize that you wanted to pursue music full-time? What was a turning point for you in this decision? Ben: I was in college at Baylor University. I remember my junior year being pretty heavily into my major classes in pursuing a double major in Business Management and Real Estate. I had a chance to go to a Hillsong Live concert featuring Darlene Zschech. The band was kind enough to take 5 minutes to encourage me and pray over me backstage as a young worship leader. Their continual prayer was "increase his dreams…" They prayed it over and over again. It was a really powerful moment in my life and through those next few months, God majorly opened my eyes to allow me to dream bigger and follow after my heart in making music. I finished my degree and am grateful for what I learned at Baylor and the knowledge I use everyday in music and ministry. I am more grateful I followed God's call rather than simply holding on to the security of a steady job. JFH (Alex): As someone who writes more vertical type worship songs, what are some of your favorite worship songs of all time? Ben: I've always loved one called "Now to Live the Life" by Matt Redman. It's somewhat obscure and not many people seem to play it, but I love the heart behind it - "Many are the words we speak, now to live the life." Hopefully I'll record it one day :). There's also a chorus from Delirious called "Jesus Blood Never Fails Me." Wrecks me every time. So good. JFH (Alex): What was it like to hear a crowd sing your songs with you for the first time? Any good moments like this early in your career? Ben: One moment that certainly stands out was right after we released our first record, Let Love Win, in 2010. I returned to my hometown of San Antonio, TX. We were expecting 200-300 people to come out for a CD Release Event. I was blown away when 1600 people showed up! Toward the end of the night, we started to sing "My Help Comes From the Lord" and that was the first time I had heard a crowd that big sing one of our songs that loud. It was such a worshipful moment and pretty surreal for sure! Ben: I hope as the local church and global Church as a whole, we can use our voice to carry the love and mercy of Jesus to people that so desperately need it. There are so many issues that can easily divide us, and there are always so many things we can be against. At some point we have to begin to be known for what we stand for. I was at Elevation Church in Charlotte a couple years ago and Pastor Steven Furtick was sharing about lifting up the salvation of Jesus rather than using our platform to condemn. The gospel is for broken people in need, just like you, just like me. If Jesus himself loved and pursued sinners, shouldn't we fight to do the same? If we truly believe God is FOR sinners, shouldn't we be as well? It can be somewhat easy for those outside the church to feel isolated or condemned… I hope we can be those who fight extra hard to make people feel loved and accepted out of the same love we've received form Christ. I recently came across an article from Jon Foreman of Switchfoot… I think he said it best: Yes, there are many things that are wrong with the world. So many things to be against -- but you can't be against everything. You have to begin to stand for something. Maybe the most important question is not what am I against, but what do I stand for? On my best days, I want to stand for love conquering a multitude of wrongs. I want to stand for forgiveness, for mercy, for beauty, for grace. JFH (Alex): As someone who has led worship for a while now, is it hard to be in a service where there is another band playing? Is it tough to worship if the music is less than professional? Ben: YES! I've been leading worship for about twelve years now and much of how I see my job is removing any distractions to create a path for people to easily enter in and worship. It can definitely be difficult to sit in a church service and not in some way notice the band, music, and production details. My wife and I have been intentional to seek out places where we are not always leading and can simply go to church! It's refreshing and necessary. JFH (Alex): Life on the road, away from family can be tough on the spiritual life. Do you ever feel spiritually dry when you go on stage? How do you keep each concert, each opportunity fresh? Ben: Absolutely - I'd be lying if I said I was spiritually ready every single time I stepped on stage to lead people, but that is part of what makes God so great. He doesn't need us, but He chooses to use us. If our identity is found in Christ then we are not leading for the acceptance of people or validation, but we are leading out of the fact that we are already accepted by God. That in itself keeps leading worship fresh for me. I don't always have to have it all together and figured out to step on stage and lead. "We love because He first loved us" - 1 John 4:19. 2 Corinthians 12:9 says "My grace is sufficient, my power is made perfect in weakness." - Every time we lead, let's ask that it would be out of the power of the Holy Spirit. Ask for His grace, ask for His power… regardless of how we may feel. JFH (Alex): How do you stay plugged into a local body of Christ when you are on the road? 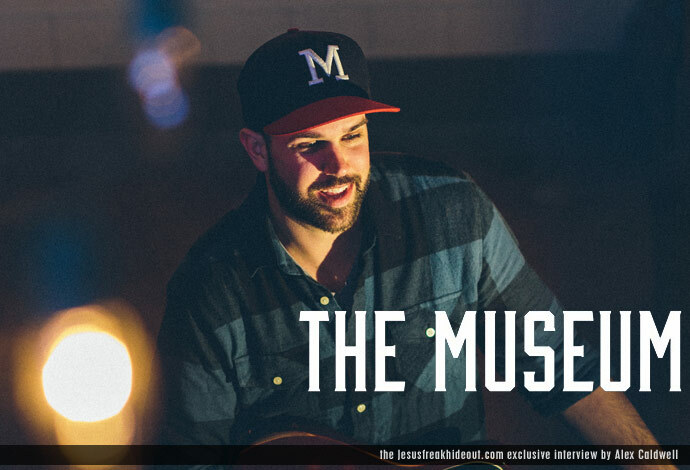 Ben: I've been leading worship at a church called Briarlake in Decatur, GA for over 5 years. I've been so grateful to have the consistency of so many relationships there and I really enjoy the team of musicians I get to serve with. My family and I live in a smaller town called Woodstock north of Atlanta now, so we have also recognized the need to have relationships locally in our own community. We have started meeting with a small group of people in Woodstock and really love the relationships and encouragement that have come from meeting together. Everyone needs a place to know and be known. JFH (Alex): Speaking of the road, what has been your favorite place you have played so far, the place you really look forward to going back to play? Ben: When we first started out, we had the chance to play for 10 days throughout England and Wales. It was pretty awesome and I have a big heart for the people there. I'm really ready to spend more time overseas! I also have to say that I love the heck out of Arkansas and Texas! We have been invited to play there more than any other states in the past two years, and we love each time we go back! Good people. JFH (Alex): Have you had a chance to meet any musical heroes in the last few years? What was that like? Ben: This past month, I've had the chance to share the stage and spend time with Mac Powell (Third Day) and Michael W. Smith. This was definitely pretty inspiring since I grew up listening to their music. Michael W. Smith has been making albums for 31 years and I love how humble he is about it. He simply said, "I never could have orchestrated any of this myself." I'm noticing more and more that humility is a common trait of people who have made a huge impact in ministry with much longevity. I'm a huge Switchfoot fan so I definitely freak out quietly anytime we've gotten a chance to play with them. I can be pretty introverted at times, so I don't usually approach big artists like this, but I'm smiling big on the inside :). JFH (Alex): What is your dream tour? Who would you play with (past bands and artists included)? Ben: Two worship leaders I hugely respect but have not gotten to spend any time with are Matt Redman and Matt Maher. If I could just follow them around for a few weeks and learn, I would be pretty stoked about it! I have also always wanted to tour with Crowder. I just think he's awesome, creative, and it'd be fun hanging out. JFH (Alex): Lastly, how is the writing and production of a third album different from the first one? What have you learned? Ben: Follow your instinct and don't listen to everybody. It can be easy for me to get caught up trying to keep everyone happy - but it's often true that if you try to please everyone, you please no one. Stay true to yourself and what you believe. What We Stand For is the most targeted approach we have ever taken in trying to make a statement through our music. I wanted to come out and clearly say, "this is who we are and this is what we stand for." I am not trying to be a performer. I'm a worship leader, so I wanted to make a record to point people to God more than just put out a product to entertain. We are not a "CCM band" putting out a worship album - I am a worship leader making a record I hope to see God use to draw people to a life of worship. I think this gave us freedom to widen the stylistic approach of the album as well. It was fun getting to incorporate banjos, mandolins, and more electronic instrumentation still with the overarching goal of crafting songs that are singable for worshippers. I was also intentional to take a little more time off the road to really focus on writing for this album - I think simply investing more time pays dividends. The Museum's latest album, What We Stand For is available now wherever music is sold!